Update: At the moment as of 8/8/10 I do not have my own custom CSS stylesheet on the site. For the guarantee that Chilli’s creative website design skills are visible on your computer and browser, Chilli has made sure his CSS is the best. This site’s CSS has been rewarded as 100% Verified. It is approved by W3C CSS. The CSS on this website is safe and is verified under CSS 2.1. I’m glad to have taken the time to make sure all of Chilli’s CSS Info is safe for his visitors. The page that should be directed under the widget above is not there. That is the page that holds the record of Chilli’s valid CSS. I decided not to show it because Chilli finds it as personal information. PS: Me and Artiguana want to be authors! You can be an author on my site, too, if you want. When somebody comments, in the comment is their email, and with that email you can make them an author! I want you to be an author on my site! dont see ya much chilliive upgraded my blog a lot! check it out! I totally agree chilli is better than fish! 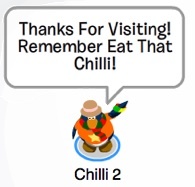 I love your website and don’t worry i eat TONS of chilli! Don’t forget the spice in life! 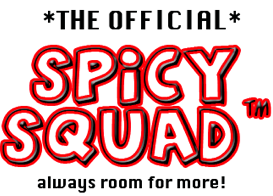 and not only cuz some people know me by the name Spiceygal,also for ur website and of course chilli! I figured out CSS, Chilli! I don’t actually know the code, but I copy off the original stylesheet and edit it. 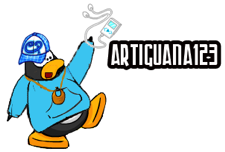 PS: I still want to join the Chilli Pepper Penguins Crew :-D.
Cool! Learn CSS! Did you buy the Upgrade yet? Here’s a a tip: do not buy the upgrade yet until you tested your CSS Code. Since we have the same wordpress theme, personally I wouldn’t recommend using the original stylesheet and editting it because when you validate it, it’s not the best. It’s coming soon dude! Don’t worry!